Ever since there was a Korean craze in Manila, people got to recognize the Korean culture including its food and famed desserts. 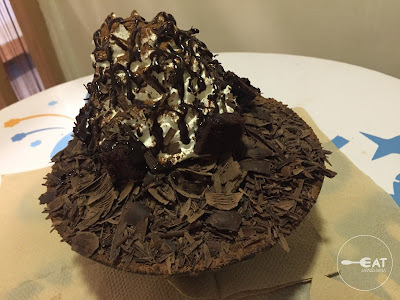 Bingsu is a Korean shaved ice dessert with various toppings like chocolates, fruits, and beans, served in a bowl. Milk and other flavorings serve as its syrup. It is similar to our very own Halo-halo. Snowboom's policy is one order per person to chill out in this place. They also offer iced and hot coffee, frappes, pasta, cakes, and smoothies, among others. We ordered the large Real Choco Snow Ice (P350) which was already good for two to three people, so we didn't need to buy anything else. 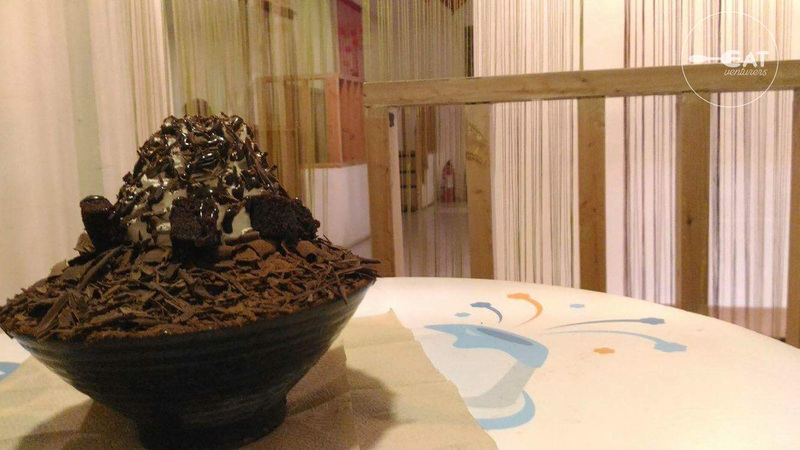 The small version of this bingsu is priced at P230. It was actually the first time we've tasted ice shavings this fine. The ice tastes good on its own even without the toppings. The Real Choco Snow Ice is not too sweet and very chocolatey, just right to our liking. Other flavors of their bingsu are as follows: Real Mango Snow Ice (S-P190, L-P280); Yoghurt Melon Snow Ice (L-P360); Choco Cake Snow Ice (L-P350); Cheese Mango Snow Ice (S-P230, L-P350); and Cheese Blueberry Snow Ice (S-P230,L-P360). These are all perfect for the summer season which sadly is ending soon. We recommend this place if you already tried Café Travel and Noriter and would want a new hangout place near De La Salle University and Dela Salle-College of St. Benilde. Although it appears small from the outside, it can accommodate several customers. It also has a homey vibe with divided seating areas and cribs. Plus, you can stay for long as they also have wifi with plug, perfect for studying and working. Oh and did we mention, they have good music playlist too? Snow Boom Café is well-manned. Staff will check on you from time to time and serve orders fast. Operating hours: 9:00 a.m. - 10:00 p.m.